3D printing is one of the emerging technologies in the last few years that has attracted a lot of user attention as 3D printers are getting more affordable, easier to be used and more flexible in what they can do. It is no wonder that people are fascinated by the idea of being able to turn a virtual 3D model of something into a real physical object with the help of a 3D printer. No wonder as just several years ago seeing things like that were just common for sci-fi movies, but not for the real world. It is not that 3D printing is some new super advanced technology that is just our from a science fiction movie, it is not, in fact it has been available for years. So why a technology that is so interesting and offering new capabilities was not heavily promoted before as it is now? It is quite simple actually, only a few companies holding the patents for 3D printing, selling expensive high-end products to the business only. Just in the recent years 3D printing has been targeted at consumers and end users seeing the potential for growth of that market. So the good thing at the moment is that it is full of companies that want to sell you their 3D printer, you have really enormous choice of options available to choose from. Different printing technologies, different sizes and speeds, different materials used and supported, single or multiple color prints and so on. 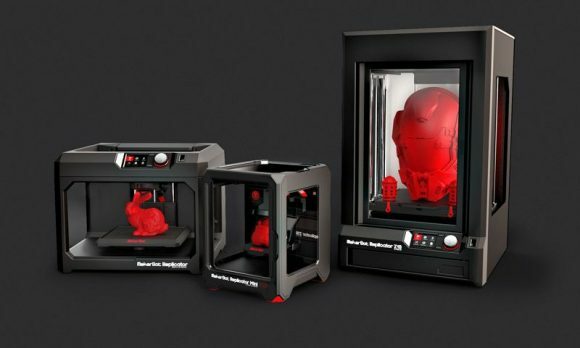 There are so many that it makes it hard for you to actually make a choice for a 3Dprinter to get started in 3D printing at home or in the office. This is precisely why I’m going to try and give you some tips to help you choose a 3D printer based on my experience, so far and the right and wrong choices I’ve made along the way. The 3D printer is essentially a device that builds real world physical objects based on the 3D data of a virtual model provided by the user. You need to have a 3D model of something and the 3D printer will retranslate that three dimensional data in a real physical model made out of some sort of material. 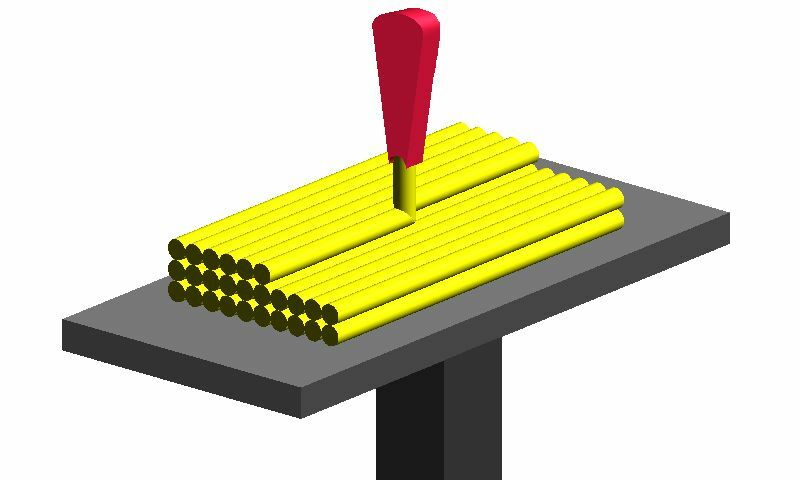 There are multiple different 3D printing technologies available and different materials are being used, but they all rely on pretty much the same basic principle. You design something as a 3-dimensional object or use an already made 3D model, feed it to the printer software, so that it can slice it and then the device starts to recreate the virtual object into a physical one. Slicing the virtual 3D object means that it is cut in layers and the 3D printer lays the material it uses layer by layer until the finished model appears. This is called additive manufacturing process as the material is being added to build the model and not removed from a solid block of material for example as a means to recreate the 3D model. Depending on the technology used the material that the 3D printer uses as a source to build the physical representation of the virtual three dimensional model can vary. It can be plastic, liquid, metal, food, concrete and many others. Different technologies also use different methods of connecting together the layers that build up the physical model – melting plastic thread with heat, using UV light to cure liquid resin, relying on lasers to melt fine plastic powder and so on. With 3D printing there are many different technologies with the main differences between being the material they use and how the material is fused together to form the resulting physical 3D print. There are three main 3D printing technologies used nowadays and my focus will be mostly on one of them as it is the most affordable, yet still flexible enough to get you started in the world of 3D printing and after that you may move to other more complex and expensive options if you decide. Fused deposition modeling (FDM) or Fused filament fabrication (FFF) as it is also know is the most common and affordable 3D printing technology used nowadays. It uses a thick plastic “wire” that is essentially a thermoplastic material that gets heated to a high temperature to get melted and is then extruded layer by layer building the physical 3D model. 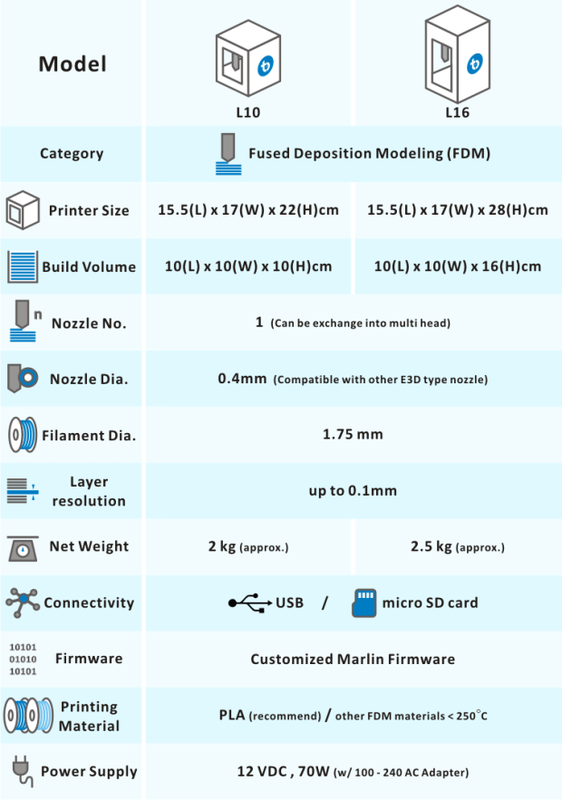 This is the technology I’ll be focusing on and making suggestions on where to start by choosing the right 3D printer based on FDM/FFF technology and entering the world of 3D printing. Selective laser sintering (SLS) is the most expensive of the three main technologies and as the name implies this technology uses a laser to heat and fuse a fine powder to form the resulting 3D object, again layer by layer. The biggest plus of this technology is that it does not require you to use support material like the other two mentioned above, because the part being printed is surrounded by the unused powder acting as a support structure. The biggest minus is that the fine powder material is even more expensive and the 3D printers that use this technology are bulkier and pricier. Are you more of a DIY person or not. You can either go for a 3D printer that you get in parts and you need to build yourself, or for a device that is built and ready to be used out of the box. Going for the DIY approach can save you some money, especially if you already have a friend with a 3D printer that can actually make some of the needed parts for you. Assembling your first 3D printed by your own can be a bit challenging, but also can be a great learning experience for you if you want to get to know how everything works. It is also good for people that love to experiment, tweak and improve things all the time and you can actually continue doing that after you build the printer by 3D printing future upgrades yourself… how cool is that! What build size do you need. The physical size of the 3D printer is not as important as what is the maximum size of 3D objects that you can 3D print with it. When choosing a device getting one with larger build size will ensure that you will be able to print bigger 3D models in the future. But bigger print size usually also means a more expensive device, so you may have to compromise in order to fit your budget. Alternatively you can start with a very small build size printer as there are some really affordable such products and then later on just buy a larger model if you need it. Increasing the build size of a device yourself is usually also an option, but it is relatively complex task as it requires rebuilding a lot of the device, so definitely not for everyone. Heated build pate or not. Not every 3D printer comes with the same features available to the user and while on some devices it is possible to upgrade and add extra features, on others it might not be an option. Having a print base that can be heated up is a useful feature, but not found on all 3D printers as it is not essential to have it to be able to 3D print stuff. Heating up the base where the 3D model is being built on allows you to get better adhesion of the printing material and while some materials can be printed just fine on cold bases (PLA) others like ABS do require you to have a heated build plate in order for them to stick properly on the base. Using some more exotic filaments besides the common PLA or ABS can also require you to have a heated build plate and while on some 3D printers it can be added as an upgrade it is best if you get it right from the start should you decide you will need the feature. Single or Dual Printing Heads. Having more than one extruder on your 3D printer can add more flexibility and give you more interesting options, but it also makes the device more complex and expensive. Using two print heads instead of just one gives you the easy option of using two different colored filaments at the same time (dual color prints) or using a different second material for support structures – one that can dissolve when soaked in liquid for example to make removing of the support material even easier. Having two printing heads however results in getting less usable build space when compared to a single extruder 3D printer with the same size. 3D Printer Software and 3rd Party Compatibility. 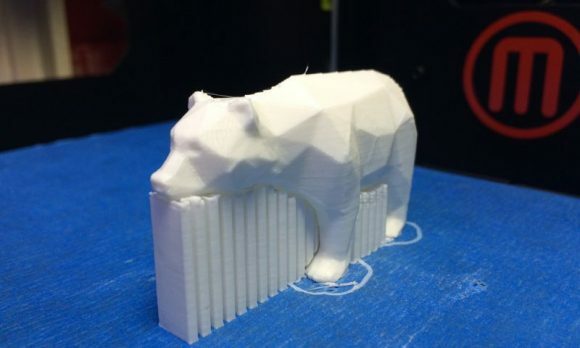 One of the often overlooked things about 3D printers is the software they come with or the so called slicer as this is the product you will be using for turning a 3D model to code that the device can understand and recreate in a physical form. So having good software that does the slicing well and fast, as well as offering not only the basic settings, but also more advanced ones right from the start is important. Even if the standard software is not that good you can look for alternatives that support your device, and it is good to do the research of r3rd party compatible software before making the final choice for a 3D printer. Spare Parts and Upgrade Options. 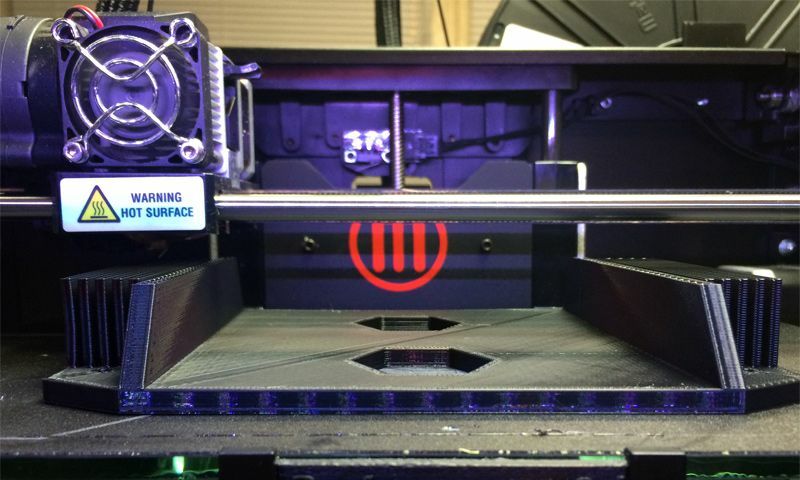 3D printers, just like with everything else, do wear off and break when you use them, so it is important to know that besides the warranty of the device you also have the option to buy spare parts and upgrades for it. 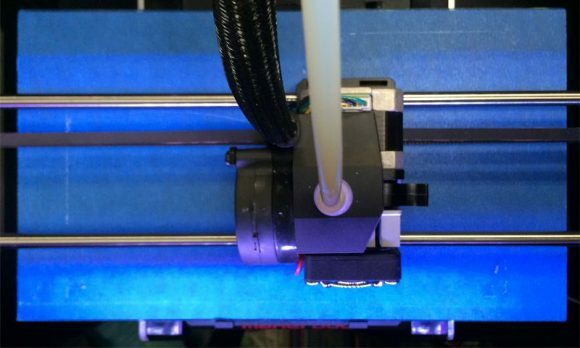 Sending a 3D printer for service repair is Ok, but usually takes some time for the device to be fixed and get back to you and some of the things you might be able to fix yourself in a couple of minutes and continue 3D printing. The nozzles on the 3D printing head that extrude the filament are one of the things that can wear off with time (especially if you use more abrasive materials), so you may need to replace them. A motor may fail, a belt can break, and some mechanical switch may stop working properly and so on. Also having the option to replace something with a better and more robust upgrade can be nice on some devices and it can improve reliability and sometimes even printing quality. Is there a large user community available. Sometimes 3D printing can be frustrating and it is always good to find answers to your problems or questions already available and published by another owner of the same device. Going for the latest cool looking and well marketed 3D printer that just came out may not always be a good idea. If there is a large user base of the device you go for and a community formed around it you can even look for advice from other users if this is indeed the right model for you or not. Look for reviews and opinions from people that have used the device for a while and not only at shallow quick review of the product based on brief experience with it. Entry Level Small Models. TinyBoy, M3D printer, UP3D, XYZ Printing and a couple of others offer more affordable smaller devices that can be a good first step without too much of an investment. For the DIY Crowd – RepRap and Printbot offer interesting models that you can either build yourself or get pre-assembled, they are not the only ones, but they have a large community that can be quite helpful. Popular Brands. There are number of big names that offer good quality products at decent prices, but they are not the most affordable options for sure – Zortrax, Ultimaker, MakerBot, Leapfrog, be3D and others. Chinese Clones or Alternatives. There are number of Chinese companies that stared basing their initial designs on open designs like the fist MakerBot Replicator and then continued improving or building new models. Among these are CTC, Wanhao, Flashforge and other names. They may be able to provide you with a more affordable yet good starting point device, though often there are some worries about the reliability and quality of these cheaper devices. These of course are just some names to get you started in your research, not all of the above brands offer the perfect products, they have some issues or limitations… sometimes even the price is not right for what they deliver you. Taking into considerations the advice and tips and your needs and expectations you should be able to make a more informed choice now. Do note that this is just the first of a series of Blog publications that I’m already working on the topic of 3D printing and printers. They are focused on getting to know the basic things around 3D printing, so they should be useful for people that are planning to get a 3D printer or recently got one. Later on I may continue with some tips that can be helpful and useful not only for novice, but also for more advanced users that have some experience in 3D printing already. The original Tinyboy 3D printer was designed by a high school teacher called Parker Leung as an affordable, compact and easy to use educational tool to help students get into 3D printing. The idea was for students to assemble and maintain their 3D printers before actually start using them for 3D printing. And now is the time for the new TinyBoy 2 3D printer that builds on top of the original design by improving and optimizing it for better, faster and more reliable printing results. Just like the original design, the design of Tinyboy 2 is going to be opened for everyone after shipping of the product commences. The TinyBoy 2 3D printer is goign to be available in two different model – L10 and L16 with the later offering slightly larger build size on the Z axis. The original TinyBoy has a build size of 8x8x8 cm while the new version 2 will offer 10x10x10 build volume for L10 with the L16 having a volume of 10x10x16 cm. Another new feature added on the TinyBoy is the support of direct SD flash card printing and not via only USB connectivity like on the original model. We have recently obtained a TinyBoy 3D printer and are currently testing the device as we were curious to see how well it will perform, not to mention that it is one of the most affordable FDM/FFF 3D printers available that you can currently get. The IndieGoGo crowdfunding campaign can currently get you an early bird L10 package for $239 USD or L16 package for $279 with an expected delivery in March 2016. The regular pricing for the L10 is $279 USD and L16 is available for $319 USD with June 2016 availability. These prices do not include shipping and the printers will be shipped form Asia, so you should have that in mind when backing up the project as there is free shipping available only for Hong Kong, Macau, China and Tawian. 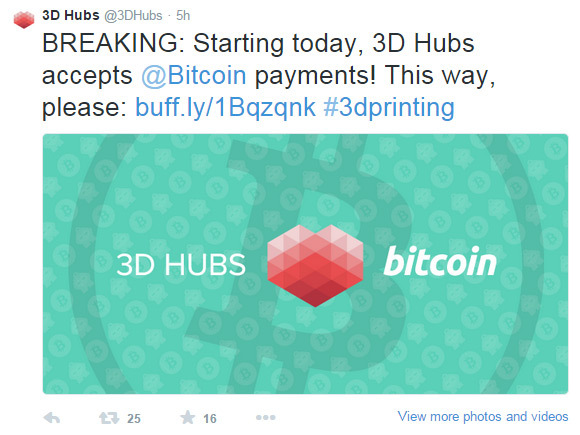 It seems that 3D Hubs has added support for payment with Bitcoins when you order a 3D print. This has been announced on Twitter on the official account for 3D Hubs, though not much details are yet available. 3D Hubs has partnered with BitPay as a payment processor for the Bitcoin payments and apparently starting today you would be able to order something to be 3D printed for you and pay with Bitcoin for the service. We like the addition of Bitcoin as a payment option and will most likely try it out very soon, what about you?